Looking for family history in Chicago between census records? The City in Brief columns can be a source of information about an elusive ancestor. 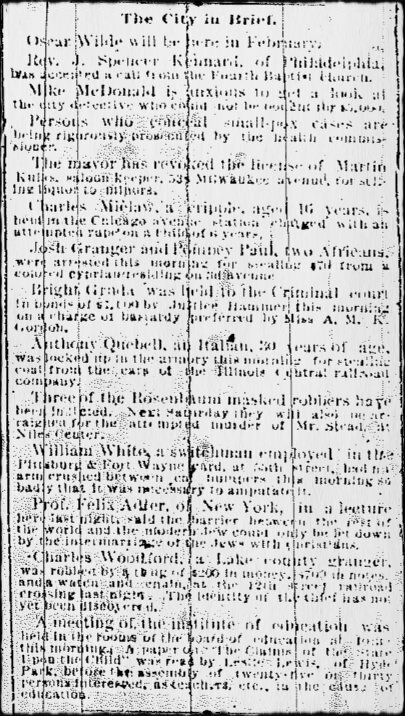 The excerpt below is from the front page of the Chicago Daily News January 21, 1882. Is Your Ancestor in this Newspaper Column?